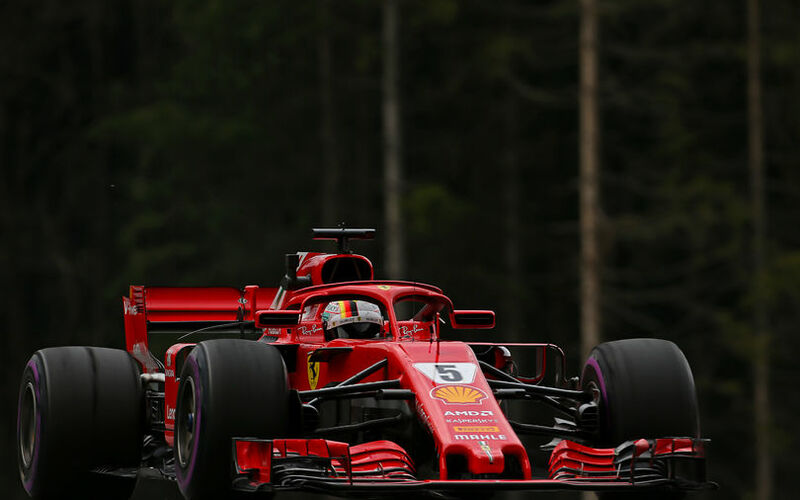 Sebastian Vettel topped the timesheet at the end of the final free practice session ahead of qualifying for the Austrian GP. His advantage was narrow though, with Hamilton and Bottas close behind. Kimi Raikkonen was 4th fastest, confirming that Ferrari seem to have found some extra pace overnight. The red cars were also clearly faster than the Red Bulls, who seemed to have fallen behind. The duo was 7 and 8 tenths behind the pace setter, with Verstappen in fact ending the session as a spectator. The Dutchman lost power at Turn 5 with just 10 minutes left on the clock. Haas saw their cars once again end up in 7th and 8th, ahead of Carlos Sainz and Charles Leclerc. The latter stopped his car at Turn 2 minutes before the end of the session. "Problem, problem, problem, problem," he told his team. Asked what it is, he replied: "I don't know, but I had to stop the car, I think there is something wrong with the engine." Drivers meanwhile continued to find out how unforgiving the kerbs are. Stoffel Vandoorne was stuck in the garage for a while after a moment on the kerbs cracked the nose cone of his car. Pierre Gasly, who already broke the front left suspension in FP2, reported another steering problem halfway in FP3, again resulting from damage on the kerbs. In fact, Toro Rosso confirmed three noses were damaged in the session.